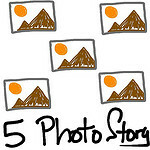 A five photo story is a collection of five images which tell a story of some kind without using supplementary text, audio or video. The five photos should “stand alone” as a story. This activity requires higher order thinking including synthesis and evaluation. Students not only need to understand the story or concept they will represent, they also are required to make decisions about which characters, plot elements, and concepts to include among many possible options. Original inspiration came from Dr. Curby Alexander. See Curby Alexander and Thomas Hammond’s article, “Five-Picture Charades: A Flexible Model for Technology Training in Digital Media Tools and Teaching Strategies” for more background. 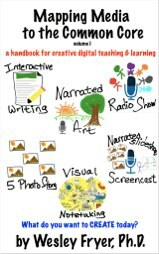 While originally designed as a “visual only” activity, 5 Photo Stories can also be created as narrated slideshows or eBooks including student audio narration. 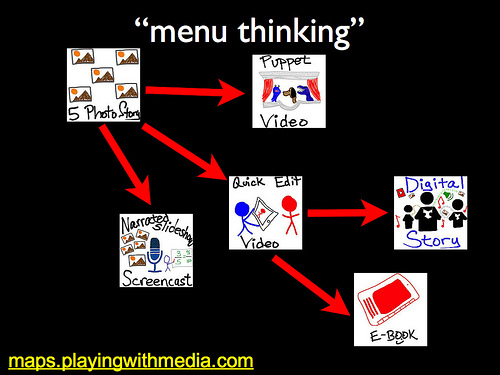 This is “menu thinking” with media projects. The easiest way to have students take photos and turn them in is to use a mobile device like a smartphone or tablet computer. One mobile device capable of taking photos AND emailing those photos is required per student group. If using school-provided tablet computers like iPads, each iPad should be configured with an email account for SENDING email messages and attachments prior to the lesson. The same account can be used for all iPads, coordinate this with your local IT department. One way for students to “turn in” their photos is to email them to a website which accepts submission by email. Alternative websites can be used for students to “turn in” their photos. Free options include Edmodo and MyBigCampus. As a teacher, create an assignment for students to submit photos following project guidelines. A file sharing website like DropBox can also be used for students to submit/turn in photos, but this will probably work best if students create a media product (single file) with their photos FIRST before submitting. 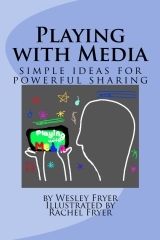 Examples can include an iPad Keynote presentation or an eBook in ePUB or PDF format. Consider using a free service like SendToDropbox so students can email their projects to a specific folder in your teacher DropBox account. Students submit ALL five photos either as attachments to a single email message to a blog or to another online destination as a single, combined file. Workshop description: It’s helpful to think of digital storytelling as a “menu” of options which can begin with 5 photo stories that simply include images without accompanying text or narration. 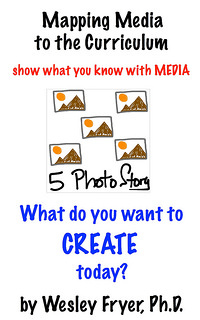 Students can create 5 Photo Stories to demonstrate their understanding of concepts and skills in the curriculum. In this workshop we’ll learn and practice different ways to create and share 5 Photo Digital Stories. 5 Photo Stories can serve as the foundation or “bridge” to other digital media projects including narrated slideshows and digital stories. Pixntell, an app for ipads and iphones is also a great way to create a story. It’s very easy to use and very fun.